An actor’s life is never easy, especially when you are waiting on your big break. 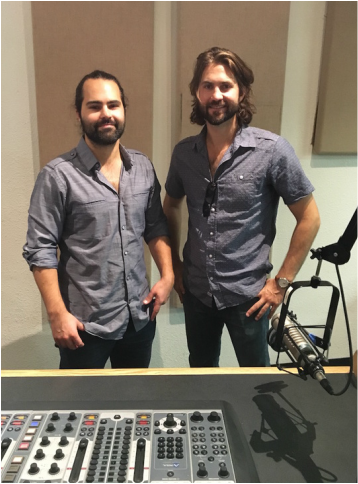 Writers/directors Nick Holden (left) and Josh Ashy Holden's (right) comedy The Golden Rut finds Austin actor Scottie Johnson taking matters into his own hands so he can land a leading role in a locally shot film by a legendary Hollywood art-house director. Only Scottie becomes sidetracked when he meets the woman of his dreams, Ebby. If Ebby is the girl next door, her identical sister Alex is the wild child who causes Scottie some headaches. Josh Ashy Holden plays Scottie, Laura Flannery plays both Ebby and Alex, and Nick Holden plays Scottie’s friend Arlo. The Golden Rut marks the feature-film directorial debut of Austinites Josh Ashy Holden and Nick Holden, the brothers responsible for the Web series The Flesh Life. The Golden Rut will screen 1 p.m. Oct. 16 at the Rollins Theatre and 9:45 p.m. Oct. 18 at the State Theatre during the Austin Film Festival. Nick Holden joins Josh Ashy Holden during this interview.